HAVE EXCEL-LIKE APPLICATIONS LOST THEIR GREATNESS? How often do you struggle using Microsoft Excel or other similar applications to manage students’ flight training like scheduling training dates or rescheduling flight sessions? How often do you mix the formulas up? Finally, how often do you spend much more time than expected entering and managing all the data manually? We bet – often. Excel-like applications are really useful tools. But if we’re talking about flight training and its complex management, a spreadsheet wasn’t intended to solve a number of issues, which today’s aviation training organizations encounter. Nowadays flight training organizations face the need to use a more sophisticated solution in order to manage all the resources efficiently. That is why more and more often businesses replace ineffective spreadsheets with the specifically-developed software or at least with an interactive web-based Excel-like application. So, if you are still the lover of ‘old-times’, we have gathered a few real life-based examples to illustrate how software solution is more advantageous compared to traditional non-online excel-like applications. Working in such a dynamic and complex field as aviation training, there is a huge need to have a shared environment where all the team members (not only one user who can edit a schedule at a time) can create or edit the content simultaneously. Using scheduling software you can easily change the settings and entitle the right to access and edit the documents. This way, the information can become available not only for your staff but for the company’s customers as well. In this case, they can book a training session by themselves saving their own time and organization’s resources. Try to imagine how difficult and human-factor-affected it is to schedule hundreds of students’ training sessions within an Excel-like application? Moreover, how time and energy-consuming can be the need to make changes because of aircraft failure on a printed spreadsheet? Moreover, this may be the main cause of human errors. Detailed reports are one of the greatest sources and tools to employ when a business is expanding. Using the software any previous or current data can be easily transformed into reports and trends. This allows a company to have a general overview of its business, utilize the resources such as aircraft, simulators, classrooms as well as human resources effectively. Furthermore, this data can be visualized to become more comprehensible. Finally, the significant history data needed for a forecast is not lost unlike using Excel-like forms. When you spend 8 hours at work juggling long to do lists, even the smallest interruptions such as a failure of an application, a programme that is slow or does not work properly, miscommunication, etc., can become the biggest efficiency killer. At this point, an Excel-like spreadsheet (especially when we’re talking about offline ones) has a strong limitation. For example, to share information in the real-time, to edit it as quickly as possible, or to manage data – at least to monitor your flight training resources in a different time zone – is really inconvenient. If it is not sufficient to be able to perform the basics tasks, you can certainly learn to use Excel-like programmes at an advanced level. 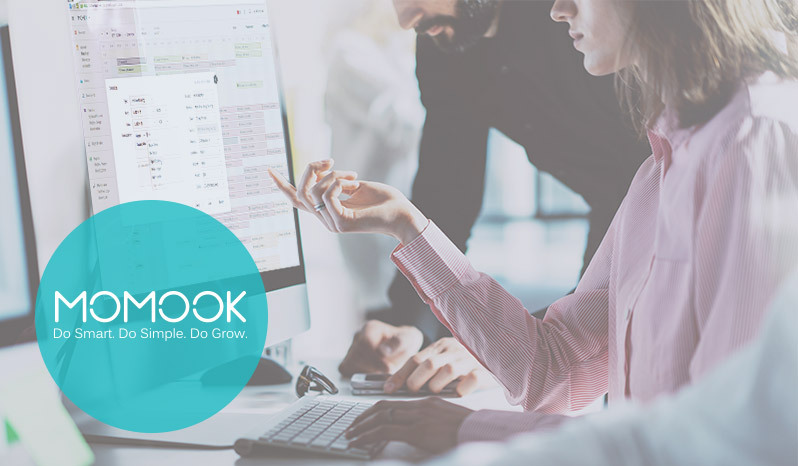 However, to start using aviation training software MOMook is much easier compared to Excel-Pro-Applications – no programming skills or specific “know-how” is required; automated software eliminates the guesswork. Any organization needs to consider the implementation of robust management software developed specifically for aviation training centers in order to keep the workflow smooth and efficient. So, if Excel-like applications can perform a few tasks, it really doesn’t mean it is the best and most efficient way to do it. 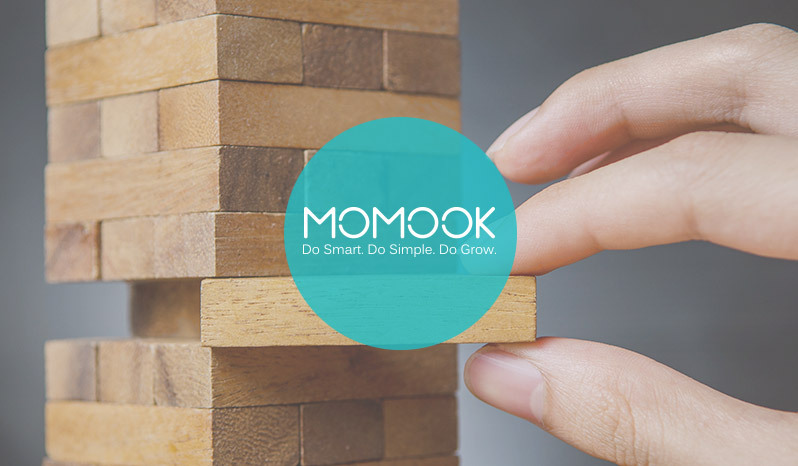 We are ready to tell you more about MOMook. If you would like to hear more how this solution can empower you to get a 360 degree view of the whole training process, don’t hesitate to contact us.